Since 1996, our mission has been to provide premium repair excellence at an affordable price. Sound Systems Technology delivers a high end audio repair service for clients across the world. Our team of experts with Denon and Marantz systems have beaten our competitors with the best in audio and visual repairs. Our Service department is fully equipped with the very latest electronics test equipment to ensure that we repair your sound, light and vision equipment in the most quick, efficient, cost effective way possible. We use sophisticated computer systems to track a repair from the minute we issue customers with an RA (Repairs Authorisation) number, to the minute it arrives back to their door. All our electronics engineers are fully qualified and, in addition, are trained by the major manufacturers. We pride ourselves on the fact that we are the longest serving Denon and Marantz Service Centre in the UK, winning awards for our fast and efficient turnaround times! Our profile of customers include manufacturers, radio stations, satellite broadcasters, DJ’s, institutions, hotels, stadia, gyms, schools, theatres, retailers as well as the general public. Below is a list of just some of the types of equipment we service and repair. Can’t see what you’re looking for? Don’t worry! We believe we can fix just about anything so please don’t hesitate to give us a call. Whatever your issue, Sound Systems Technology will be on hand to help! Please contact us today. We can provide multi-room bespoke installation services to all of our customers in the UK and the rest of the world. We’re happy to discuss any requirements you may have; just simply get in touch and a member of our team will be on hand to help. ! We don’t just stop at service and repairs; we also sell a range of premium quality cables, connectors, leads and accessories. Interested? Please contact us for more information! Dear Team, Just a quick thank you note to let you know how pleased we are to have both units reinstalled back here and working 100%. It's reassuring to know that there are experts out there. Thanks again. SIBC, the commercial radio station in Shetland, had three professional Denon DN-950FA CD-cart machines dating from the late 1980s. They had not been used on air since the early1990s but they were a useful tool in programme production and commercial production. 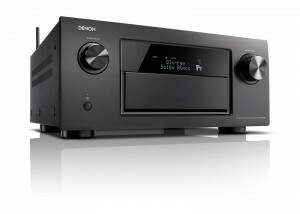 Ian Anderson, part owner of the station, said: "We had decided that the Denon DN-950 was such a useful machine that it was worth having all three fitted with new laser units. The service from Sound System Technology was excellent, fast and friendly. We will certainly be using them again."